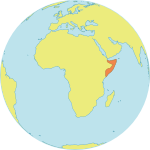 HARGEISA – It was 9 p.m. when a little girl arrived in critical condition at the maternity teaching hospital in Hargeisa. She had been bleeding all day after undergoing female genital mutilation (FGM) that morning. “When she is brought to us, she is almost dead,” recalled Edna Adan Ismail, the founder of the hospital and a pioneer in the effort to eradicate FGM. 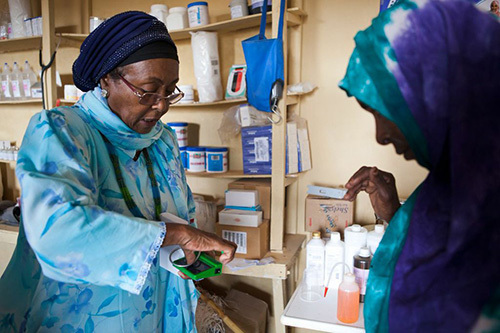 In 2002, after working for the United Nations and World Health Organization for over 15 years, Ms. Adan, a nurse and midwife, opened the Edna Adan Maternity and Teaching Hospital in Hargeisa. Since 2006, the hospital has worked with UNFPA to develop and implement a midwifery curriculum. At Ms. Adan’s own insistence, no midwife or other health personnel can enrol in the training programme without first agreeing to work towards ending FGM. “I insist that if you are going to be a health worker and you are going to be a midwife or a pharmacist or a lab technician or any other health professional who is trained in my hospital, then you need to commit to me that you are going to fight FGM,” she said. 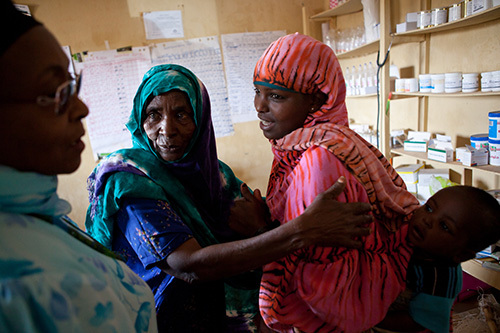 Her hospital confronts the effects and complications of FGM on a daily basis. Cases have included girls who are haemorrhaging or unable to pass urine because of their stitches. Often, the girls have been cut hours or sometimes days before being brought to the hospital. In the most severe cases, not enough skin remains to allow health workers to suture the wound. The hospital also sees frequent labour complications stemming from FGM, including prolonged and obstructed labour, foetal distress, and even stillbirth. Fighting the tradition of FGM “I cannot keep quiet about this because it is prolonging labour. It is delaying the birth of a child. It is causing pain. It is causing an infection that should not be there. 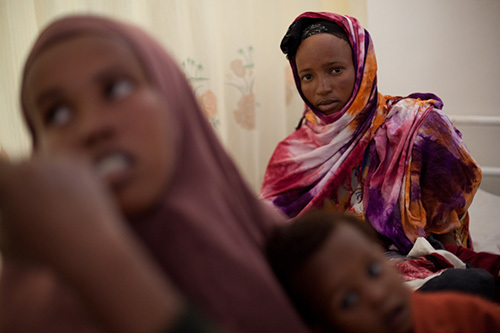 It is causing complications in women that women need not be experiencing,” Ms. Adan said. Ms. Adan instructs her staff to educate community members about the harms of FGM. This includes dispelling common misperceptions about FGM, such as the belief that it is a religious requirement. UNFPA, jointly with UNICEF, leads the largest global programme to accelerate the abandonment of FGM. The UNFPA-UNICEF Joint Programme on FGM/C and the UNFPA Midwifery Programme have begun to mobilize midwives to prevent FGM and to care for complications resulting from the practice. UNFPA has also launched an e-Learning module to teach midwives about the harms of FGM, and to strengthen their ability to serve as champions for change. As Ms. Adan’s experience has shown, midwives have unique knowledge about the practices and social dynamics within a community, and they are well-positioned to identify when and where FGM occurs. They also see its gravest consequences. “When child […who] has been bleeding all day, and has almost a foot in the grave, not because of a disease but because of what another human had done to that child – I think it is the most horrible thing,” said Ms. Adan.